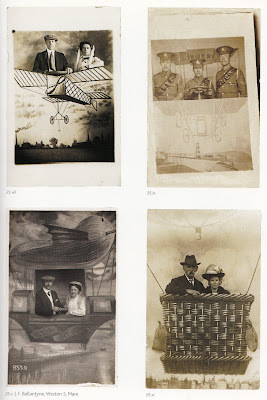 Here is a great selection of images found in the book 'We Are The People'... a collection of postcards by Tom Phillips. Such a fascinating and comical glimpse in to the past. 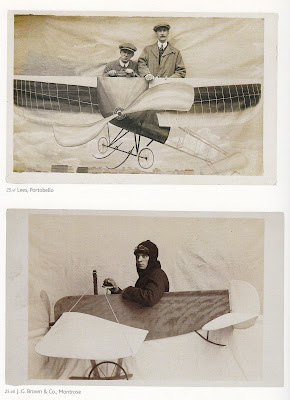 A time when flying was an unattainable experience and going to an English seaside town would invite people to virtually experience it through these 3d contraptions. The serious poses, formal attire and commandeering expressions definitely gives a sense of importance to their activity! Classic.